At MARO designs we are “women working for women”! Many of our employees are single mothers. Our products are Eco-friendly; leftover CowHorns and CowBones are the main raw material, including up-cycled metal, cotton and glass. They are skillfully crafted and combined into unique contemporary jewelry for women with style! Every necklace a unique piece of art! 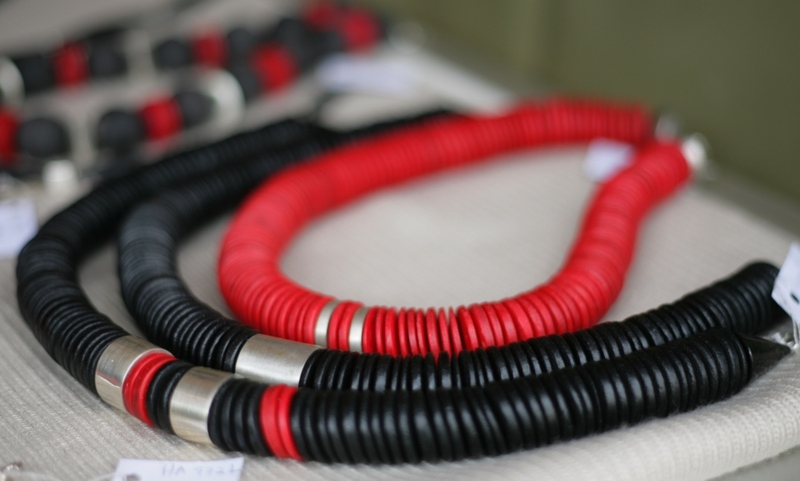 The company stands for high quality, every bead handworked and chosen for unique necklaces, bracelets and earrings. 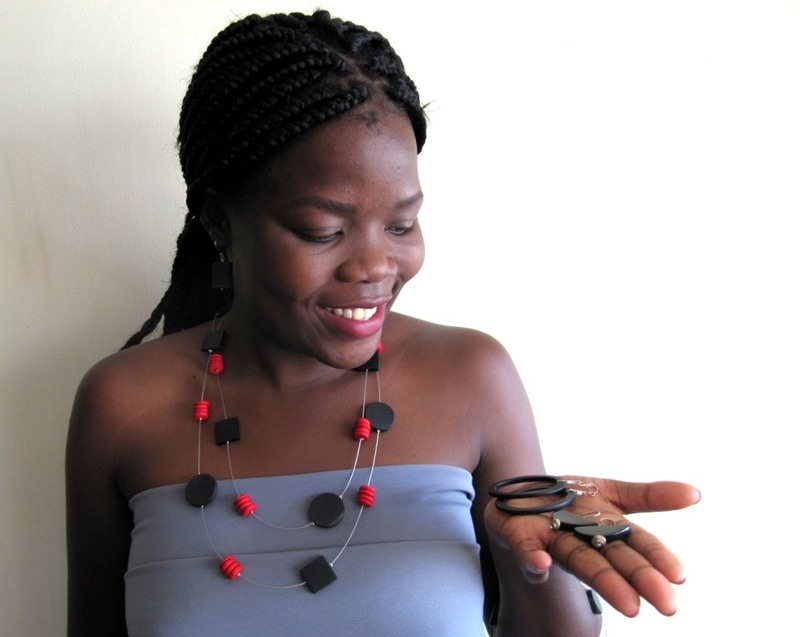 Clean graphic look, dramatically off centre – this is contemporary African jewelry designed by Marie-Rose! 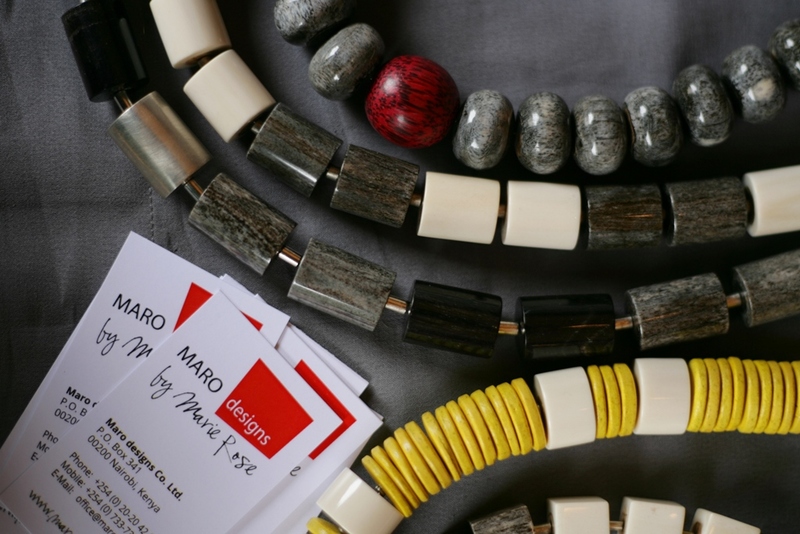 Marie-Rose Iberl of German origin, founder of MARO designs, lives and works in Kenya/Africa for 24 years. Trained and working as a Psychotherapist in Germany for many years, she started here a new career. “I have always created unusual things for myself and friends: Furniture, jewellery, bags and garments.” Her designs are unique: clean graphic look, bold and playful. They incorporate influences of European fashion, modern and ancient African art. 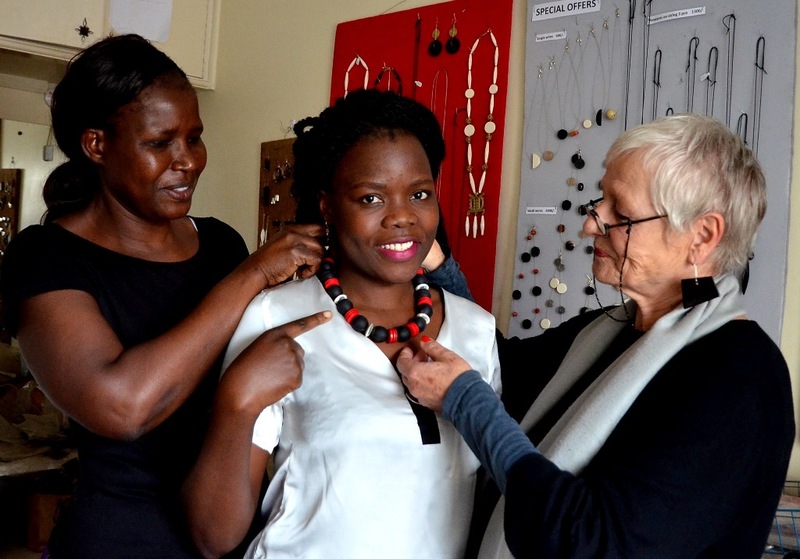 Working with Kenyan designers for local and international Fashion Shows is another source of inspiration. Cowhorn and cowbone, a traditional African material bought at the slaughterhouse (“the leftover of the steak”), is turned into modern high quality products. These beads and pieces form the basic material of the jewellery. Variety of shapes, quality and production time is all under our control. Partly, the final necklaces and earrings include beads worked on aluminium (recycled from old engine parts, protected by polish), paperbeads (recycled magazines), handworked glass (recycled), handworked ceramic silver, all locally made. Traditional brass beads from Westafrica, claybeads from Mali and more. Looking at the social situation in Kenya, empowerment of women through employment on permanent contracts is very important. After basic schooling, poor families still send only the boys for further education and training. So we adjusted our policy! At our manufacture, every new craftswoman is a mother, mostly single. They are trained on the job by experienced coworkers. They are very smart and talented craftswomen, loyal and hardworking. Even considering their maternal responsibilities and reality, like maternity leave (3 months) and days off, when children had to be brought to new schools, or to the doctor, this choice of employees is worth it. For every woman we employ, we feed and help giving education to at least 2 to 5 kids.